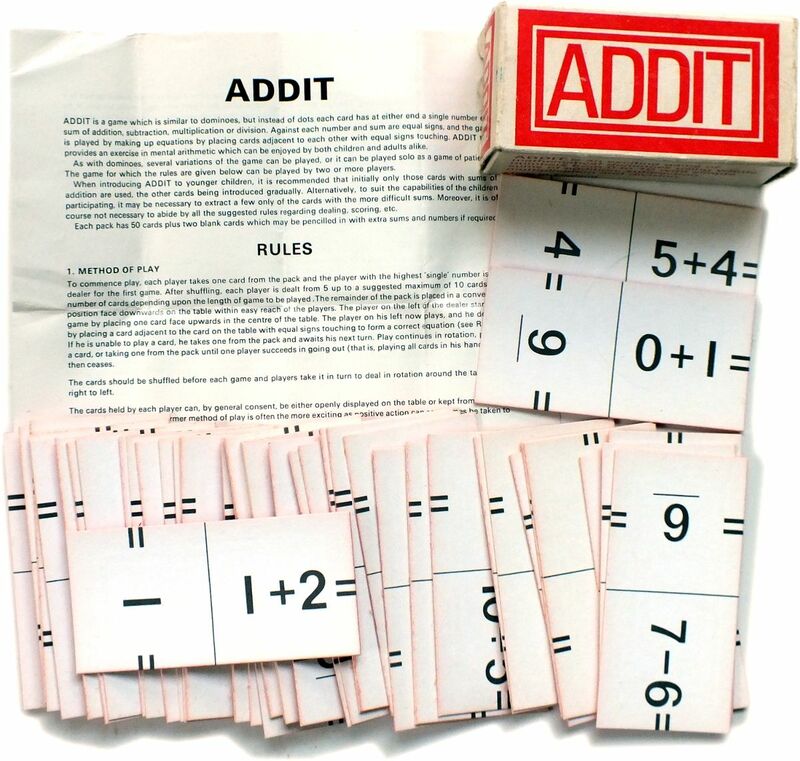 This 'Snap' card game was published in at least 4 editions with slight variations. The main differences lie in the text font and colouring, some details in the clothing and slightly different sizes of cards. 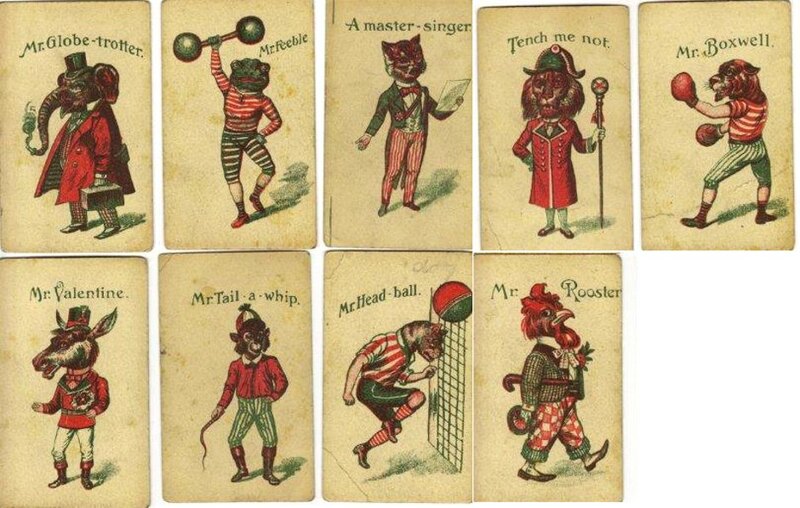 The full set is believed to have 9 characters in sets of four, making a total of 36 cards: Mr Globe-trotter; Mr Feeble; A master-singer; Mr Boxwell; Mr Head-ball; Mr Rooster; Mr Tail-a-whip; Mr Valentine and Touch-me-not. In the version shown here one card is titled “Tench me not” instead of “Touch me not” - probably a mis-spelling (as far as we know “Tench” is the name of a fish). The packs were probably manufactured cheaply in Germany for the English market in children's games, perhaps even being included in games compendiums. Above: cards from an 'Animal Snap' card game printed in red and green, anonymous manufacturer, 36 cards, plain backs, approx. 90-100mm x 60mm. Images courtesy Steve Campbell. Darbyshire, Neil: "Variations on a Theme No.1 - Animal Snap" in the Newsletter of the English Playing Card Society, October 2003, pp.108-110. Note: Neil Darbyshire will be producing a catalogue of over 200 rare 'Snap' packs in the near future.